What Causes Tight Neck Muscles? Most people will face a neck related issue at some stage in life. While it is true that the usual body movements don't cause serious problems, you may experience neck pain due to overuse, wear, and injury. Neck pain may feel like a stiffness, kink or severe pain. Sometimes, you experience pain in your upper back and have tight shoulders and neck as well. This usually accompanies a severe headache. Tight neck muscles can make it difficult for you to move your neck from one side to the other. Emotional Stress: Being under stress for extended periods will lead to muscle stiffness. Your tight neck muscles may well be an indicator that you're feeling stressed. Infection: Neck stiffness with high fever and a headache may be due to meningitis, a serious infection of the fluid around your spinal cord and your brain; if neck stiffness is accompanied with sensitivity to light and vomiting, it may be a sign of a viral infection. Osteoarthritis: The wear and tear of your working joints may lead to osteoarthritis that can be an underlying cause of stiffness in your neck. Rheumatoid Arthritis: This autoimmune disease can damage your joints, including those in your neck, causing severe stiffness, especially in the upper part of your neck. Pinched Nerve: Arthritis may lead to the narrowing of your spinal canal that may result in a pinched nerve. If the pain it causes radiates into your legs and arms, then your neck may be stiff. Fibromyalgia affects your joints and muscles. It may make your neck muscles to contract that leads to stiffness. Cervical Spine Disorder may lead to tight neck muscles and shoulders. Cervical herniated dis is the common reason for muscle stiffness and muscle spasm. Using a simple heat pack will help relax your tight muscles. Just opt for moist heat in case you have a stiff neck because it penetrates the muscle better. 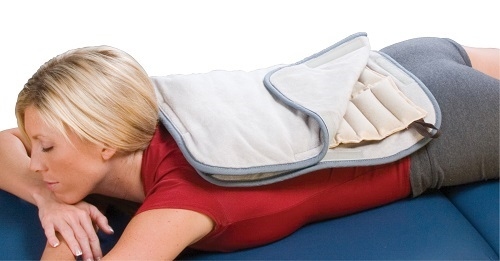 Place a moist heating pad around your neck for at least 20 minutes to relieve stiffness. 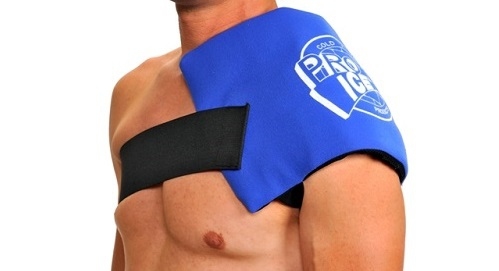 Using a cold pack is a good idea because it limits the accumulation of lactic acid and helps relieve pain as well. Simply sit in a comfortable chair with your head titled a bit. Now place an ice pack between the bottom of your head and your shoulders. It is a good idea to lean your head on the icepack to relax. Do it for 15 minutes in every couple of hours. You can do it simply by nodding your head forward and then backward. By stretching these muscles, you will be able to relieve tension and alleviate stiffness. You may also consider tilting your head sideways. A light stretch of the muscles in the sides of your neck will help a lot. Finally, you should move your head from left to right to stretch those muscles. Don't stretch your neck hard in any direction if it feels painful. Massaging your stiff neck will definitely help if of course you use the right technique. Start by warming up the back of your neck. You may do it by rubbing up and down with your fingertips. Apply gentle pressure while using your fingers to rub your neck in a circular motion. You may massage the areas that feel really stiff, but massaging your entire neck is a good idea. You can always use a topical analgesic or find a balm that contains menthol. Some popular choices include Ben Gay, Icy Hot, and Aspercreme. Apply the balm on your neck for immediate relief. It is possible to make analgesic at home by eating a couple tablespoons of coconut oil and a tablespoon of beeswax together. Melt it over medium heat. To make it even effective, add 5 drops of eucalyptus oil and peppermint oil. Now, pour this mixture in a small mason jar and let it cool off a bit. Your homemade analgesic is ready! You can try medications to treat your tight neck muscles. Non-steroidal anti-inflammatory drugs are your first line of defense. You can opt for aspirin or ibuprofen to relieve pain. You may even consider taking advantage of muscle relaxants. Even though they offer short-term relief, they may help you, especially before you go to sleep. Opt for a muscle relaxant only when other remedies aren't working. Go buy a memory foam pillow to maintain proper support to your neck while sleeping. If you use feathered pillow, be sure to replace it once a year. Be sure to sleep on a mattress that feels firm enough to keep your spine and neck in the right shape. Quit sleeping on your stomach and be a side-sleeper to reduce pressure on your neck. Take advantage of acupuncture to reduce neck pain and alleviate neck stiffness. Take about 310mg of magnesium if your tight neck muscles are the outcome of magnesium deficiencies.